THE CONSERVATIVES have selected local activist Mark Eastwood to take on Paula Sherriff in the battle for Dewsbury and Mirfield at the next general election. The father-of-two was chosen by members of the constituency’s Conservative association to be their candidate at a hustings event in Grange Moor last Friday night. Mr Eastwood said he hopes to be “the voice of Dewsbury in Westminster” and was “humbled and honoured” to be selected. In 2015 Paula Sherriff beat encumbent Tory Simon Reevell to turn Dewsbury Labour once more, then in 2017 Miss Sherriff narrowly saw off the Conservatives’ Beth Prescott by 3,321 votes. 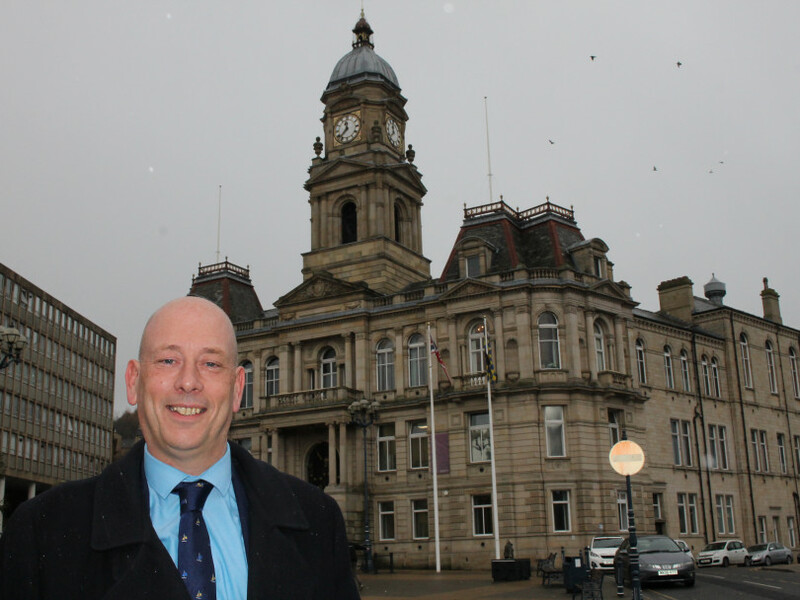 This week Mr Eastwood described Dewsbury as a key target seat – and said “it’s winnable”. The 47-year-old grew up on the Wilton Estate in Batley and in Thornhill Lees. He has also lived in Heckmondwike and moved to the Dewsbury East ward with his family 11 years ago. In recent years he has played a key role in the Chidswell Action Group’s fight against green field development. He was elected chairman of the Dewsbury County Conservative Association in 2016 but has stood down from the role following his selection as candidate. He has stood several times for the Tories in the Labour-dominated Dewsbury East ward in council elections, without success. A Leeds Utd fan, Mr Eastwood works nationwide for a firm which supplies medical furniture and equipment to the NHS and is also Yorkshire and Humber representative of the Conservative Workers and Trade Unionists (CWTU). He said: “I am both humbled and honoured to be selected to represent the party in my home constituency, an area I have worked in for the last 10 years. “I am looking forward to taking my campaign out into the communities in the area. I do hope that people will let me know their issues and concerns so that I can try to resolve them and once I am their MP I will ensure that I am the voice of Dewsbury in Westminster, not the vote of Westminster in Dewsbury. “The reasons for me joining the Conservative Party centre around my beliefs that if you work hard, you get rewarded and that the Conservatives are truly the party of opportunity and getting on in life. • Read more on Mark Eastwood’s stance on local, national and international issues in next week’s Press.